Amidst the classic charm of the Cape Winelands District, buried deep within the peaceful serenity of Stellenbosch, lies the modest settlement of Longlands. 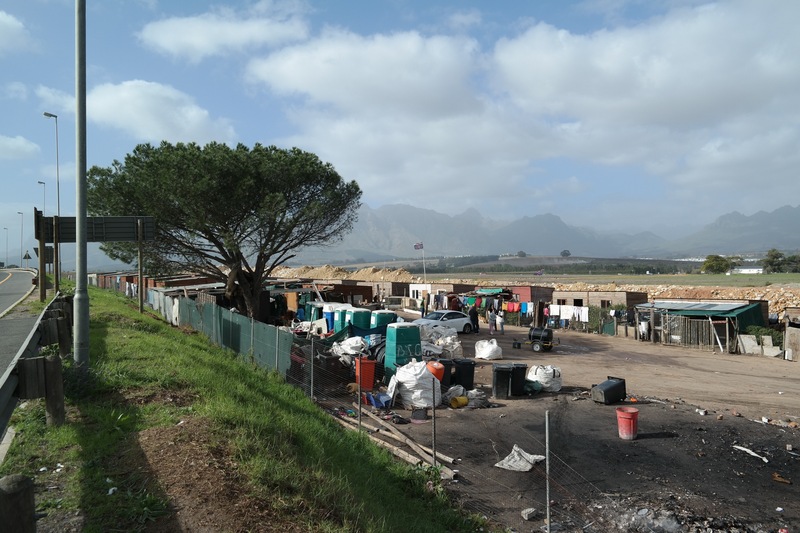 This settlement was established in 2015 to provide safe, interim accommodation for residents living on a dumpsite in Devon Valley. Years later, the living conditions are no better than their previous locality, and have become a permanent feature of daily life. Poor access to basic services, coupled with limited socio-economic opportunities, and an environment that does not promote dignity. Over the past three years the community of Longlands has been engaging with the SA SDI Alliance with intentions of finding solutions to their problems. As a result this settlement was profiled during the Rapid Appraisal process. The Rapid Appraisal Process took place in 2016 as a result of a tender from the Western Cape Government to profile all non- metro settlements in the province. In this process Longlands community, was also assisted by the SA SDI Alliance to develop their own enumeration report and to establish a community savings group, name coined by the community, Big Dreams. These rituals are known to be a powerful negotiating tools for communities engaging all tiers of government on housing development, informal settlement upgrading and securing land tenure. Through the data collection process, the community identified the need for an energy intervention coupled with other interim basic service needs. An initial challenge which arise from attempts to implement a project that was to address many of energy needs was the ownership of land by a private property owner. Consequently, it has been difficult to get the local municipality to commit to providing permanent infrastructure. 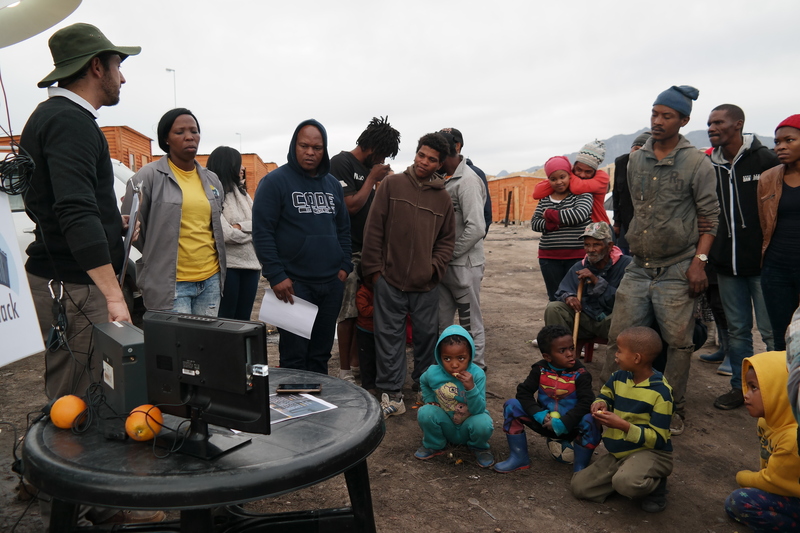 Since engaging with the SA SDI Alliance, the community has taken several steps to engage with local municipality and participated in several exchanges to learn from other informal settlements that have been upgraded with the support of the SA SDI Alliance. All of this work was undermined on the 7th of May 2018, when the community of Longlands became victim to a fire that spread rapidly, fortunately there were no fatalities but the community lost almost all their personal belongings. This meant that the community had to start from scratch. 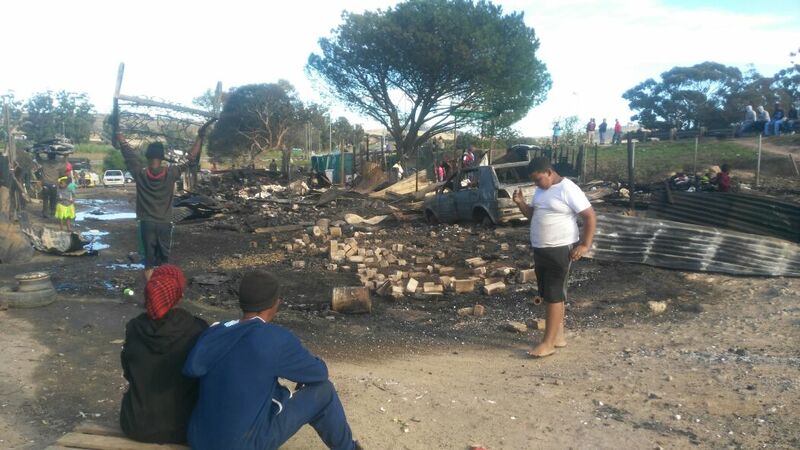 Out the 38 structures in Longlands, 23 structures were burned down affecting more that 130 people. The community used open fire for cooking, heating, and candles for lighting and these form of energy were identified as possible one of the causes of fire. Picture taken in the morning of the 7th of May 2018, where structures were burned down in Longlands. 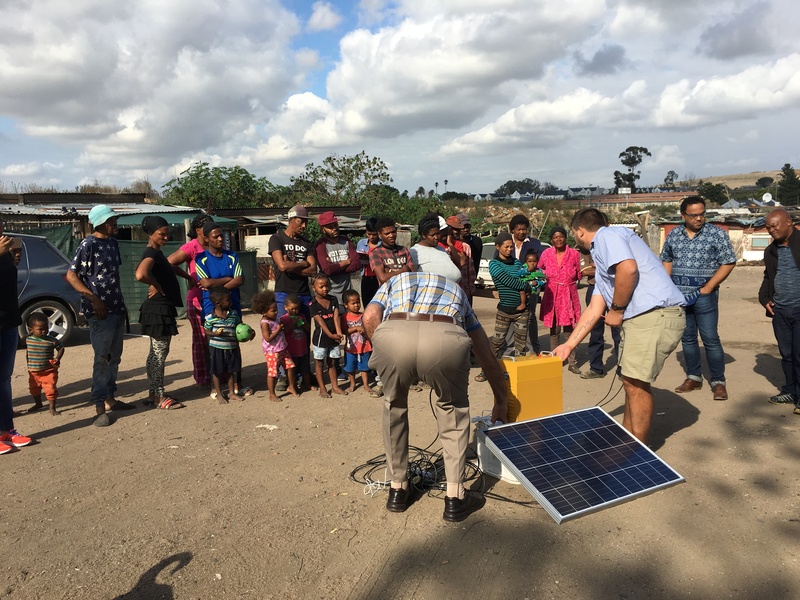 Because of the challenge of energy in the settlement, the SA SDI Alliance along with Longlands community began exploring alternative energy solutions. This initiative was largely coordinated by the technical support team and the Informal Settlement Network regional coordinator in Stellenbosch. The basic premise of this initiative was to foster a co-design process at a grassroots level in such a way that the community was involved in every aspect of conceptualising the project. Data also played a crucial role in guiding the process and in develop a project implementation plan aimed at capacitating community members to drive the process. The first step in project conceptualising was reviewing data collected by the community. This include energy survey data, which complimented enumeration data. The purpose was to gather data specifically geared towards identifying an appropriate intervention that would address different energy needs. This community energy survey revealed that the community was using energy for water heating, cooking, lighting, cell-phone charging and access to media such as radio and television. The energy survey also provided information such as what each household is spending on cooking fuels, and the cost of charging a cell-phone either by a neighbouring settlement or local spaza shop. The energy data was collected over a period of two months. During this period the community also went on two exchanges in Jabula and Siqalo informal settlements, Cape Town. The idea was for the residents of Longlands to learn from other communities about different energy alternatives that are available. In parallel to these processes the community was also meeting with a number of solar home system service providers. These service providers presented different ‘innovation solutions’ with the aim of finding a product that speak to the needs of the as far as possible. Demonstrations in Longlands to community members. The community demonstrated their readiness by securing savings, and with the support of the technical team the community drafted a letter of commitment that they will honour their 20% contribution to the capital costs of the project and a letter to the municipality to show that they want the system and request their support. The iShack project, a project of the Sustainability Institute, was of interest to the community. This project provides solar home system service and it was implemented in another settlement in Stellenbosch municipal area, Enkanini. The community of Longlands was also attracted to this project because the community of Enkanini had receive a Free Basic Energy (FBE) subsidy, through the iShack project, from the Stellenbosch municipality. Additionally, residents of Longlands thought the process was going to be fast with iShack because of their existing service level agreement with the municipality. Community members demonstrating their willingness to contribute in the development of their community. iShack has an open ended agreement with Stellenbosch municipality, meaning that the implementation of this project can go beyond Enkanini informal settlement. In the case of Longlands, it is difficult for the community to leveraging the municipal FBE subsidy. The community was told through a message that came from the municipal manager’s office, that they will not benefiting from the FBE. 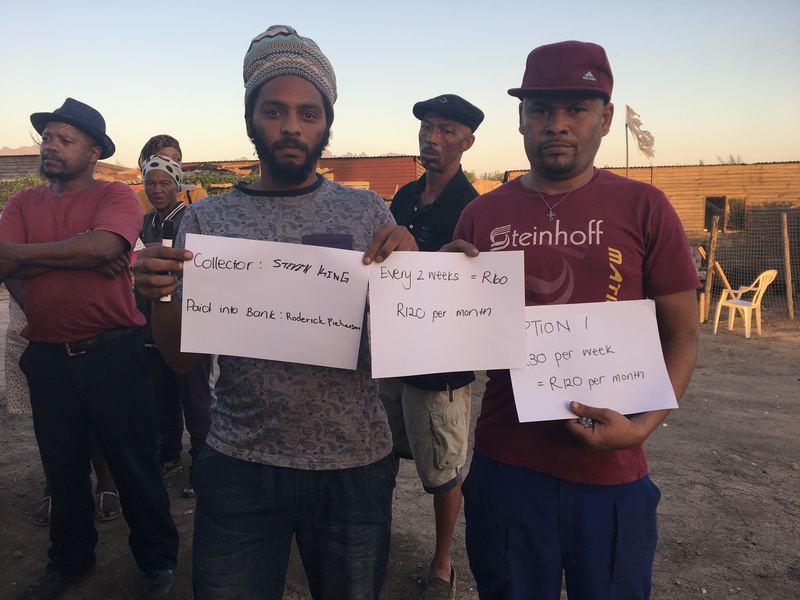 Initially residents of Longlands had requested support from the local municipality by attending partnership meetings and tabling their project but unfortunately their efforts have been in vain. The local municipality has offered no credible reason to not supporting the community. This act by the municipality is consistent to many of their actions or approach to this informal settlement. Over the years the local municipality, has left this community to live on land which does not allow for a dignified living environment. This is happening even though they are mandated by the constitution to improve people’s lives and ensure provision of basic services. In Longlands the municipality done little to nothing in addressing the need to adequate basic services and access to energy. iShack along with the community has implemented the solar home system in Longlands TRA to 26 households, the system offers three internal lights, cell-phone charging and USB radio input and a LED television. However, it does not make provision for cooking or water heating appliance usage. One of the challenges in most informal settlements where similar projects have been implemented is the aspect of maintenance and monitoring of the services. This aspect is neglected, as a result projects fail because of poor maintenance and monitoring. The iShack model has been designed in the manner that promotes sustainable maintenance of the services to ensure maximum durability and reliability of the energy service. The idea of sustainable maintenance is about capacity building, green skills development and local job creation. Community residents need to be capacitated to take charge and maintain the project themselves. One of the first step towards this was a workshop and evaluation exercise which was aimed at understand how much the community understand about the system. This took place three weeks after the project was implemented and it was to evaluate which areas are still a problem to the community. The iShack project being demonstrated to the community. Despite the increase in access to electrical grid energy by communities, a significant number of communities in South Africa including Longlands are finding it difficult to access energy through the electrical grid. In the case of Longlands informal settlement they decided to access energy through an off-grid solar energy. This community has contributed for this service. However, the local municipality has disappointed the community because it is not fulfilling its constitutional mandate. Regardless, the community continues to save and contribute towards their solar home system and their are in the process of exploring cooking and water heating alternatives through the Clean Cooking Stoves project of the SA SDI Alliance.